If you’re here reading this then there is a good chance you need to move a vehicle for one reason or another, though pinpointing that exact reason can sometimes be a matter of difficulty. Fortunately we’ve been in this industry for a very long time and we’re usually able to narrow it down to about three reasons to use enclosed auto transport. Let’s address these three common reasons and see if any of them fit your situation. We’re starting with the most obvious one here and with good reason: it’s the most common as well. So you’re getting ready to move and you need a way to get your car to the location. The most common solution would be to drive it, but what if you’re not just moving down the street? What if you’re moving to another city or even another state? Could you imagine having to drive all of your cars the entire distance? Not only would you be paying a fortune in gas, you would be putting unnecessary wear and tear on your vehicles, which is absolutely not acceptable. 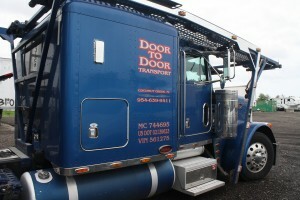 That being said, an enclosed auto transportation service is your best option. Car shows are pretty common and they have many different purposes. No matter what kind of vehicle you are preparing to show off, you know that you need to make sure it looks great when it gets there. You’ve probably spent a lot of time detailing, and maybe you’ve given it a wax job – not actions that you want to repeat when you are sitting at a car show, waiting to show off your beauty to the world. After all, you want it to seem as if it rolled of the line like that, right? The best way to do that, is to make sure it is transported to the event using the best possible enclosed trailer transport solution. The Third Reason: It’s a Classic! One of the top reasons to look into enclosed auto transport companies is the classic car. You have one, you love it, and you need to move it. We don’t have to tell you that there are many different reasons to get that vehicle on the road. Maybe you’re heading to an auto show with it, such as the one we mentioned above, or maybe you just need to move your car to a new house. No matter what the reasoning happens to be, you don’t want to drive it and you don’t want to risk damaging it; that is a perfect reason to start using a good auto transport service to get the job done, and it’s not as expensive as you might think. It’s not a race, but it will sure feel good to cross the finish line with your car whether you’re moving, heading to a car show, or simply transporting a beloved classic. When you’re looking into enclosed auto transport you don’t want to choose the cheapest service; you want to choose the one that is going to get you the best possible results, and sometimes that can get a little bit tricky. That being said, take a look at everything we have to offer and make sure that your car is able to make it to the destination without a single problem. We’re confident that we can pull it off and give you the most satisfactory experience out of any other auto transport company in the industry. It’s time to stop wondering how your beloved car is going to get there and time to start actually planning your trip. With our solution you won’t have to worry about wasting fuel, and you certainly won’t have to worry about damage. Our secure transport system can alleviate any concerns that you might have had and get you on your way, wherever it is you might be going.